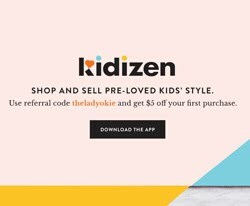 The Lady Okie: The Color Run: A Discount Code For You! Most races do sell out fast, so check out this link for locations and see if there's an open race in your area! You can get $5 off an individual entry OR register a team of 4+ and get $10 off each entry! When you sign up with a team, it doesn't mean you are part of a relay. You can still finish individually or as a group. It's just a great way to save some money and run with friends. 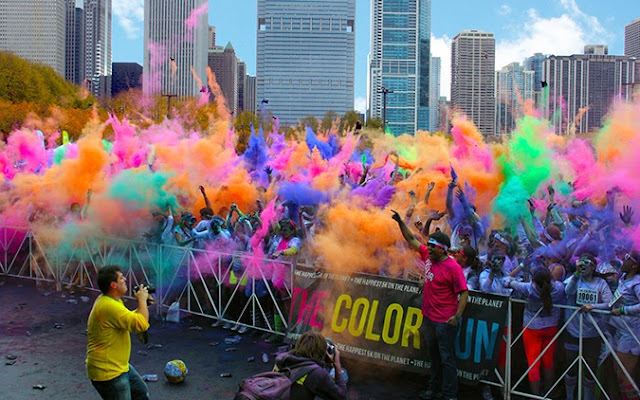 The Color Run is called "The Happiest 5k on the Planet," and I'm excited to see if that's true. This is an untimed 5k run/walk; the idea is to have FUN, not to be the first to cross the finish line. 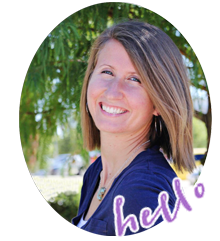 It's perfect for anyone who wants to start running, for new runners, and for seasoned runners! Don't know what the color run is all about? Check out this 2-minute video! You can also go to their about page and read more! 1) Wear white to the starting line. 2) Finish plastered in color. 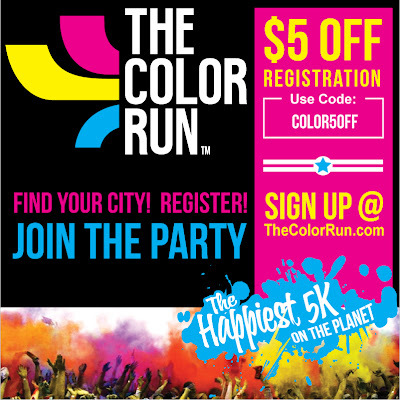 The 2013 Oklahoma City Color Run will be held at Remington Park on October 5, and I'm going to run it! Any other OKC peeps want to join? Go here to sign up for the Oklahoma City race. Sign up with a team before Sept 1, and it's only $35 with your promo code! Don't forget to search for other locations around the country here. The promo code works in any race that is not sold out. Create a team and save $10 on registration! There are still a lot of locations left this year. 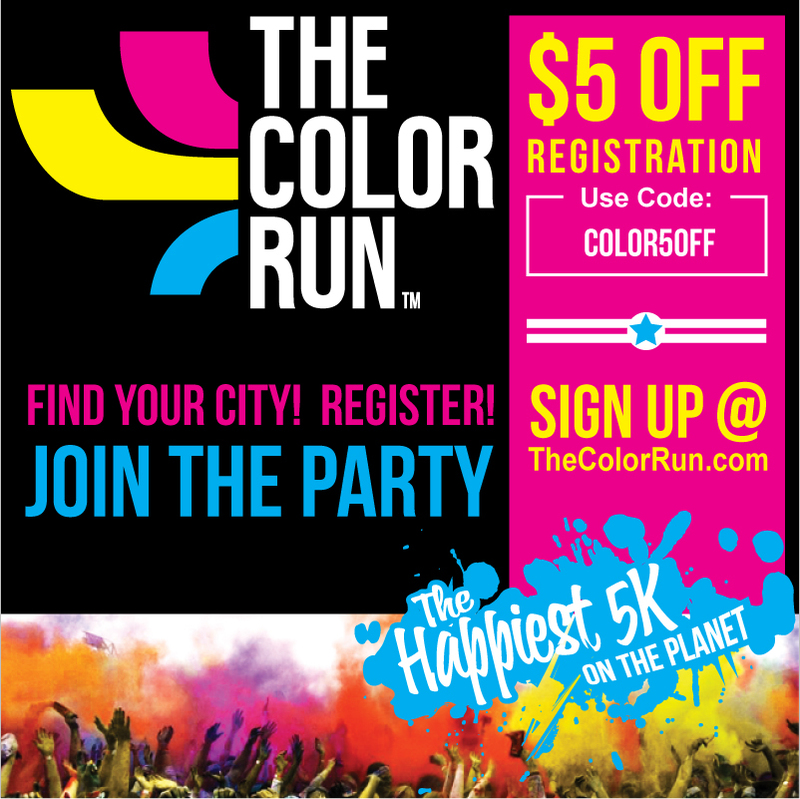 *I received a free entry to the Color Run for this sponsored post. All opinions and comments in this post are my own. Use of a promo code does not guarantee entry into the run unless you are officially registered. 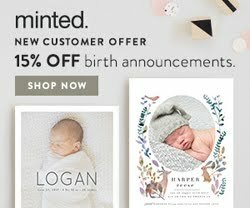 **If you use the promo code and it says "not recognized," email me. It's a quick fix! Any tips for me before I run it? Darnit! I JUST missed the one in my city!! i did the color run in minneapolis and it was a BLAST! so fun you found me and we are now blogging friends, maybe i will see you next time you visit MN! I did the color run in Tulsa. My best piece of advice is to wear a bandana around your neck to pull up over your face when you go through the color check points. Getting the color dust in your mouth is not a fun experience. I was so glad we thought about the bandanas before we ran! 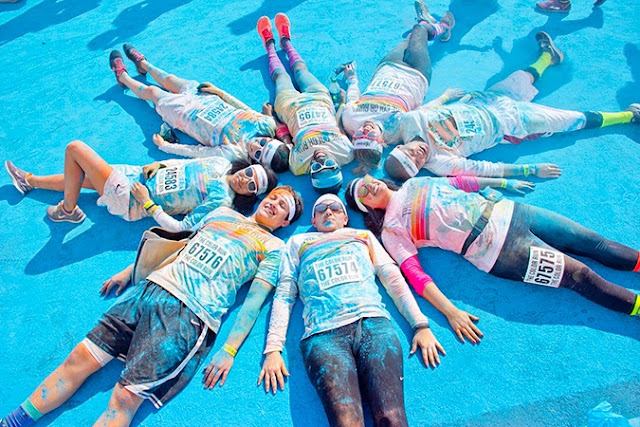 I wanted to do the color run SO badly but it's the day after my bday and we already have plans. That sounds like soo much fun. A lot of my friends have done it in the past, but I haven't. Maybe I need to finally take the plunge! I did the color last year and it was SO fun! I had color everyyyywhere haha. My favorite part was at the end when everyone was just throwing color. Such a fun idea for a race!! shoot! If i could do it, I so would. I did it in March and it was so much fun! Wear the sunglasses they give you to prevent color in your eye. Don't scream or open mouth through the color stations, my friend got a mouthful and there are no water stations so it was rough trying to spit it out.